The Jackal is an opportunistic and adaptable forager. Its diet consists of carrion, rodents, birds and reptiles, but it will also eat insects and fruit. It is a shy, nocturnal animal and is generally encountered alone or as a pair. Jackals give birth once a year to 3-5 pups after 60 day gestation. The nursing period is 6 weeks and the young reach puberty at 10 months. In Qatar, the Golden Jackal is found in Dohat Al Husein, Brouq, Arayq, Khofous, Hamareer, Uglat Al Manseer, and Nakhsh. The Golden Jackal is slender, with long legs, a long, pointed muzzle and a relatively short, bushy tail. 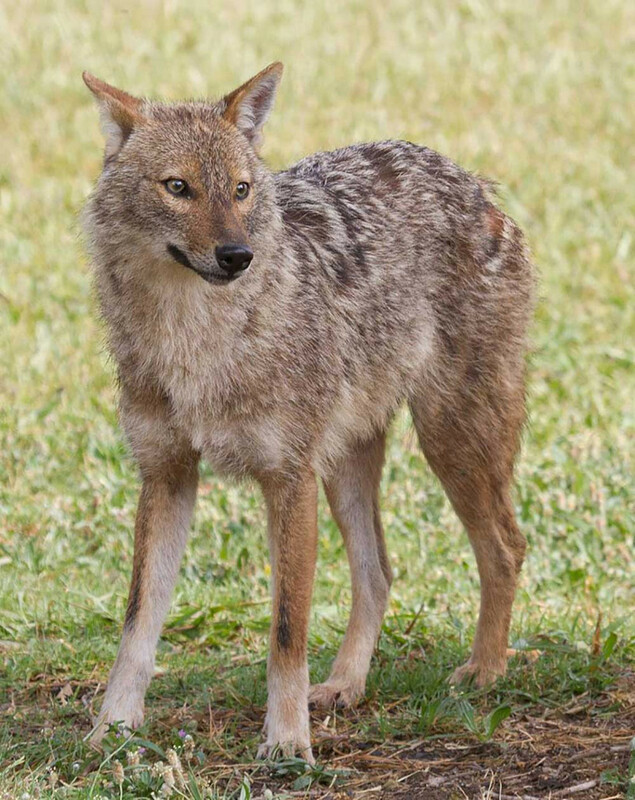 As the name suggests, the jackal generally has golden or yellowish fur that may vary between seasons, regions and age. The coat is rather coarse. The back is often mottled black, brown and white, while the head, ears, sides and limbs may have a reddish-brown hue. The underparts are pale. The Golden Jackal can be distinguished from the fox species by the black tip of the tail. It is similar to the Arabian wolf, but is smaller and has a more slender build.